With Easter just around the corner, your children may be bothering you about the fact that they only have one Milky Bar Easter egg and that they demand you take them on an Easter egg hunt to boost their chocolate-haul for over the school holidays. Coaxed into this, you may find yourself sat in your car to get some peace and quiet while they run around looking for their next big score of foil-wrapped goodness. Bored, your eyes may start to roam, noticing things on the car dashboard you never saw before. The aforementioned map on the Jeep Renegade is not some design quirk but an actual place: Moab, Utah. This trail map is little nod towards a place famous among Jeep aficionado's for its unparalleled off-road setting. Those little numbers? Coordinates to find the trail and enjoy yourself the way Jeeps were built to be enjoyed on a little adventure of your own. A blast from the past here, but if you’re out and about and spot a 2004 Corsa beware of potential shark attack. The old wives tale around how a shark ended up on a car that looks nowhere near as menacing as a Great White says that the interior designers had a bet on whether or not they could fit a shark somewhere inside the vehicle. And well, they succeeded in a pretty imaginative way. With a new Vauxhall Corsa due to be revealed soon, we’d like the designers to go a step further and try to put a Blue Whale anywhere in the (presumably bigger) next-gen supermini. 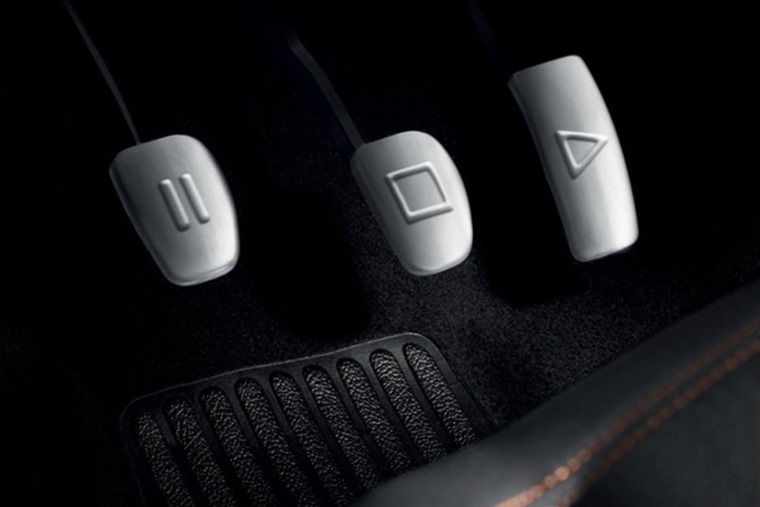 Keeping an entertainment angle for a second, did you ever notice the pedals on the 2008 Twingo RS when your feet weren’t on them or were they always muddied up? 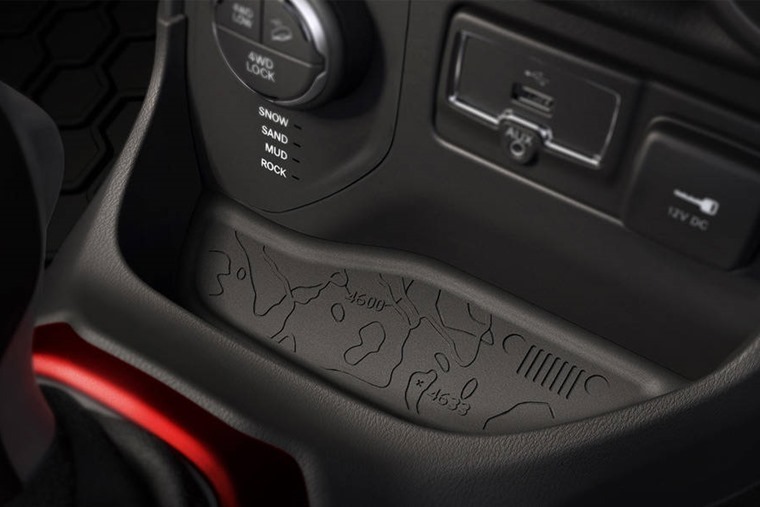 If not you were missing a pretty cool little touch carried over from the initial Twingo concept car, with the the clutch pedal embossed with a pause emblem, brakes getting the stop logo, and accelerator getting the play symbol etched into it. Y’know, just in case you were ever confused about what they were for or wanted to pretend that driving a car was like watching a DVD. 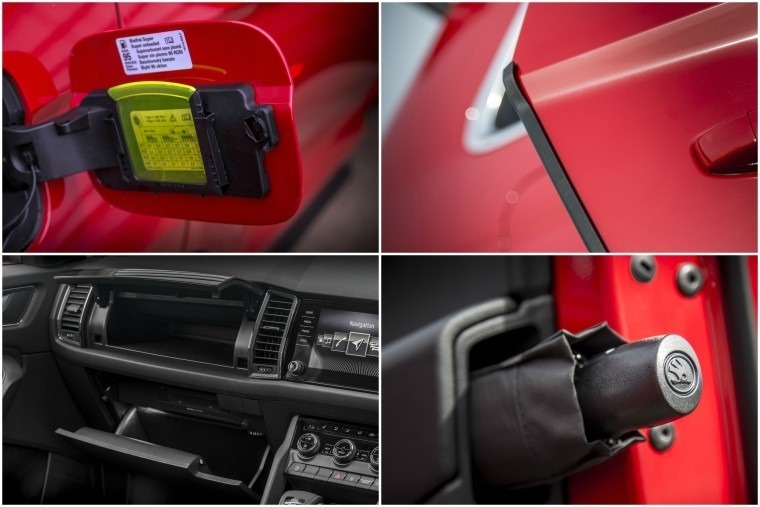 If you’re looking for hidden features, then look no further than Tesla. The vehicle's volume goes up to 11, in reference to This is Spinal Tap, and Elon Musk always goes one louder in many other ways. We might be a few months late with this one but by holding the ‘T’ button on your infotainment screen and entering the code "holiday", this will cause a light show set to the tune of Wizards in Winter by Trans-Siberian Orchestra to begin. Then the Falcon Wing doors will swing up and mimic flying. You can also turn your display monitor into Rainbow Road from Mario Kart - though unfortunately you can’t leave banana peels for the car behind to slip on, or fire turtle shells at the cars in front. Still bored? Transform the touchscreen into a full colour sketch pad. Watch the video above for MORE secret stuff. Whereas all these things are cool and a bit of irreverent fun, are any of them actually useful? No. If this is your attitude and you find yourself in a Skoda Kodiaq when it’s raining, look into your door when exiting as there’s something just for you. 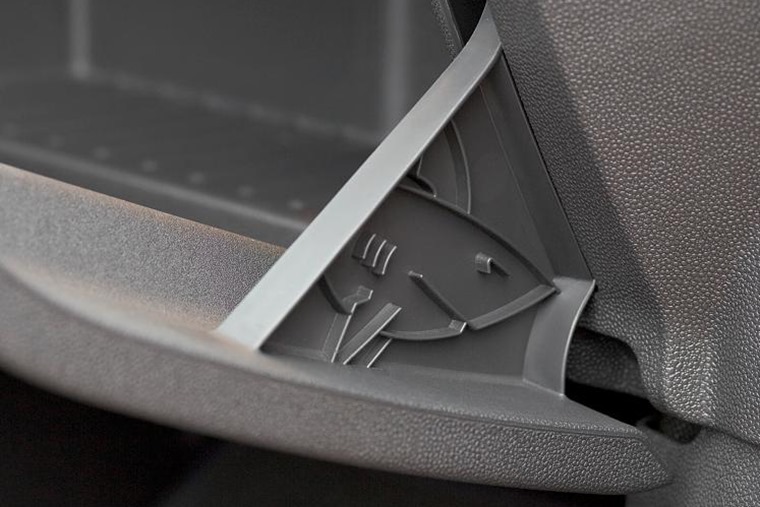 Whether it’s the secret umbrella, automatic edge-protectors that pop in and out of the doors when you open and close them, storage bins throughout the cabin, luggage hooks, or an ice scraper hidden in the fuel filler flap, little touches like this mean a lot.